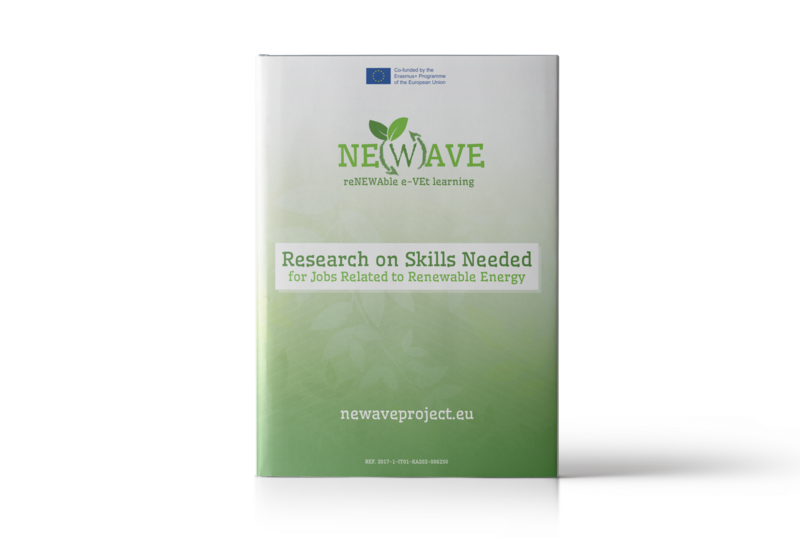 This overall report is the final result of the research on skills needed for jobs related to renewable energy, conducted in the frame of the project NE(W)AVE: reNEWable e-Vet learning. Through this comparative research the project aims to provide a general glance on the situation in the renewable energy sector and the process of an appropriate adaptation of trained skills in the project partner countries. Moreover, this research gives a clear view of the skill mismatches between job demands and learning offers in the renewable energy sectors of these countries. For the NE(W)AVE project consortium the research findings served as a basis for the contents which will be included into the Open Online Course (OOC) to be developed and provided to VET learners with the aim to upgrade and convert existing “green” competences according to the demands of the renewable energy sector.